Even after creating the MySpace profile, nothing happened. I stayed busy with school and my job, so I'm not really sure how much time had passed before our next interaction. I think it was Fall of 2008 at the Mill Creek Invitational. I remember it well. I was standing in the pro-shop talking to my boss Adam. I had probably just finished driving the beer cart that afternoon, and there's always a dinner and after-party for the Invitational on Saturday night. In walk Jason and Steph to the clubhouse, followed by Brian...and some blonde chick! In Brian's defense, it really was no big deal. Nothing had ever happened between us. I had rejected his attempts to go on a date and I never admitted to liking him, so he probably didn't find it awkward at all that he was there with his girlfriend. I had to work the party that evening, serving dinner and drinks to the guests. It was a pretty humbling experience having to serve dinner to Brian and his new girlfriend and also bus the tables after they finished eating. I wonder if Brian remembers that night. During our forced moments of interaction that evening, I still remember there being chemistry between us, just like there was the first day we met. Over the course of the next several months, I didn't see Brian at Mill Creek anymore. 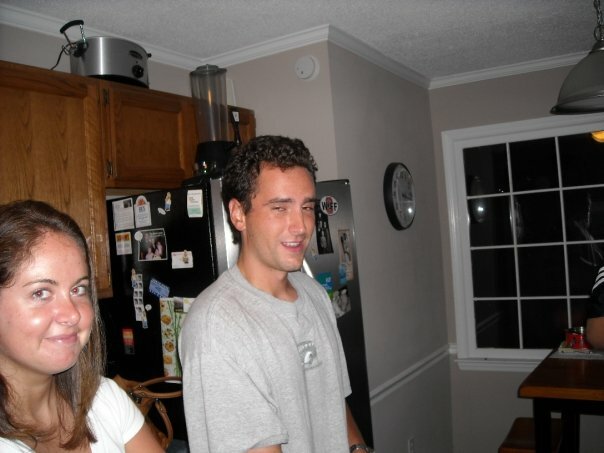 It was my senior year at Elon. I would occasionally ask Stephanie about him when the topic would come up. "We're going to Vegas with Strawberry," she told me one day in the pro-shop. "Oh, how's he doing?" I asked. He was still dating that same chick. She told me her and Jason thought that this girl was "the One" and that he was going to marry her. I never asked about Strawberry again after that. In June 2009, I sat down at my computer one night and had a Facebook Friend Request. Hmmm...I guess that chick wasn't "the One" after all! 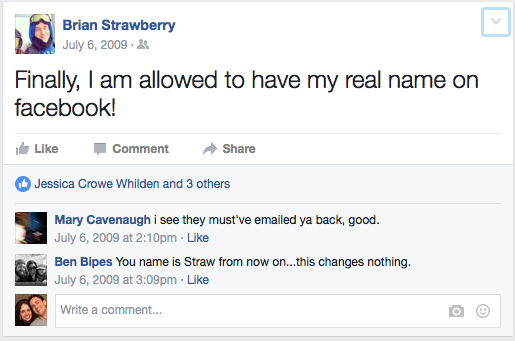 Thankfully Facebook has kept documentation of our lives ever since. If anything, I hope this story goes to show you that God's timing is always perfect. 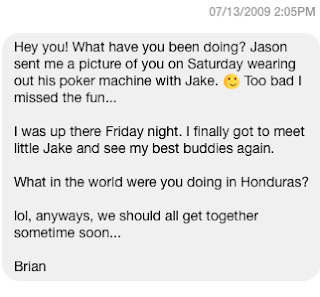 I thought Brian was going to marry someone else not once, but TWICE, during the two years before we went on our official first date. I've put up with a lot of crap over these past ten years (and so has Brian!!! ), but I am so thankful for my best friend, and thankful that I have this story to tell. Life begins where your comfort zone ends. One of my favorite quotes and my motto for this month. I have a lot to look forward to for April and a lot that I am nervous about! I get the opportunity to attend my first work conference here in Raleigh for two days this week. I'm excited because it looks like a great lineup of events and speakers, but I'm also a little anxious because I will not know anybody there. I'm leaving the conference early on Thursday to head over to Duke Raleigh to attend a Board of Directors meeting that evening. Busy week. To top it all off, I'm taking my very first Burn Bootcamp class tomorrow morning at 5 AM. Yikes!! I finally ran out of excuses for postponing Burn Bootcamp. Brian is so sick of hearing about Burn Bootcamp. He told me tonight I have two choices: Either go to Burn Bootcamp or stop talking about Burn Bootcamp. He's out shooting pool tonight, but I texted him regarding Burn Bootcamp just so he feels right at home. 4) Plan something for Brian's birthday!